Plastic is well known for its durability, in sea water slowly breaking down into micro particles that remain in the marine ecosystem for decades, even for centuries. These plastic’s chemical properties, its tendency to float and spread involved with existence of hazardous substances, make the marine littering a complex and trans-boundary problem. Small particles of plastics, microbeads, are used in order to improve products functionality, or they are generated through product wear and tear. The EU aims to restrict the use of micro plastics in products. An essential part solving the marine littering problem is effective engagement of diverse stakeholders, policy-makers, public authorities, research bodies, NGOs and voluntary groups. Economic actors, such as the packaging and tourism industries, business, retailers and consumers, are key groups in driving the process to mitigate the amount of marine litter. There is a growing need to change the patterns of consumption within the larger framework of waste management and circular economy. Shared responsibility and co-operation at different spatial levels: local, national, regional level, and in wider international and global context are all necessary problem solving elements. To prevent marine litter, the global framework is the bedrock on which EU legislation and policies are built. 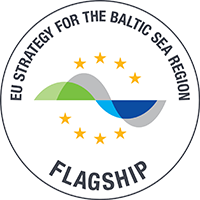 HELCOM, Baltic Marine Environment Protection Commission, plays an important role in implementation the Baltic Sea marine environment policy.